Cannon pointed out of their gun ports, aimed at the walled city in the distance. With commands to fire, the naval ordnance roared to life and the guns recoiled, pulling their holding ropes taught. Dirty white smoke fluttered across the ocean waves disrupted by the shelling. The firing didn’t last long—only long enough for some 70 smaller ships, each loaded with 45 men carrying muskets, to start their trek to the beach in the distance. The smaller boats scraped the beach and soldiers poured out, screaming their war cries. And yet, even as hundreds of soldiers filed into their formations and pushed ashore, nothing more than a cursory shell or two came back from the city. The Americans had landed at the beaches of Vera Cruz. Situated about 260 miles from Mexico City, Vera Cruz (spelled as one word today) had been the target of an American invasion since the previous winter. If Maj. Gen. Winfield Scott, commanding the American army, could capture Vera Cruz, he would have a straight shot towards the Mexican capital. No one doubted it would be tough to the capture the port city: there were several artillery-studded forts and walls that climbed 15 feet high protecting the city of 15,000 people. Scott’s plans went awry, Mexican troops could reduce his beachheads to canister- and musketry-swept killing fields. But Scott was inspired by the success of Hernan Cortes—in 1519 the Spaniard had also chosen Vera Cruz as a landing site and had subsequently marched in, eventually bringing about the downfall of the Aztez Empire. With his divisions totaling approximately 10,000 men, Winfield Scott prepared to begin a campaign against a nation of some seven million. 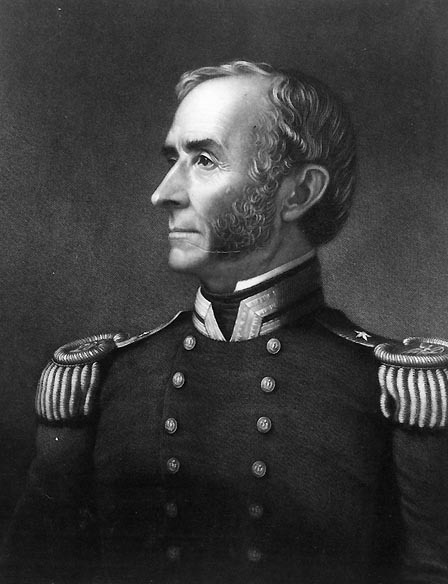 Through the winter, Scott planned the offensive with his naval counterpart, Commodore David Conner. It fell on Conner’s shoulders to bring Scott’s men to bear in front of Vera Cruz and to protect the landing sites. 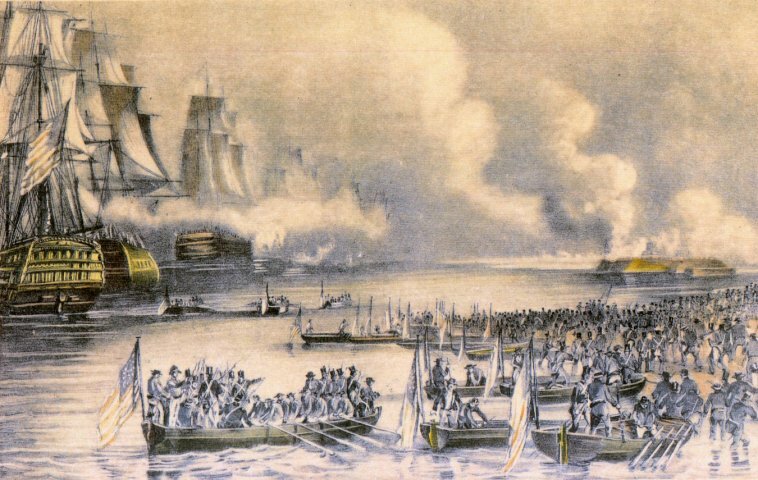 If the navy failed their objectives, Scott’s campaign would fizzle before it ever began. 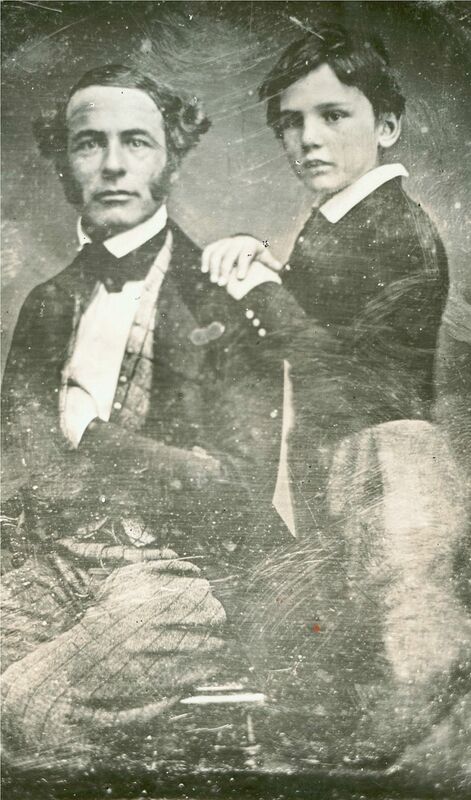 As 1846 gave way to the new year, Scott and Conner began to gather ships and men just south of Vera Cruz. 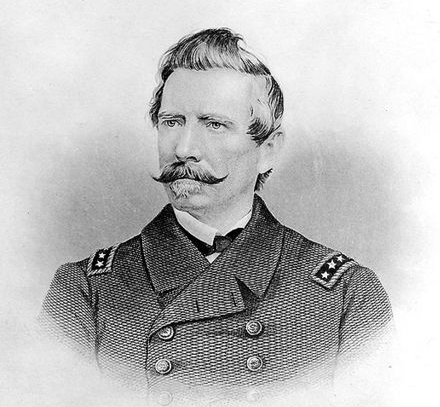 One of Conner’s officers, First Lieutenant Raphael Semmes (future captain of the CSS Alabama), wrote, “Our hitherto quiet head-quarters, in which we had stagnated all winter became daily more animated,” as more ships arrived. In the larger sense, these four projectiles meant nothing, but it proved a threshold for one officer also acting on Scott’s staff. Captain Robert E. Lee, serving in the engineer corps, found himself under fire on March 7, 1847. As his biographer S.D. Freeman wrote, “It was the first hostile shot Captain Lee had ever heard as a soldier.” George G. Meade, however, found the close-call aggravating and unnecessary, writing to his wife, “This operation I considered very foolish; for, having on board all the general officers of the army, one shot, hitting the vessel and disabling it, would have left us a floating target to the enemy, and might have been the means of breaking up the expedition.” Had any Mexican shot been luckier, it could have also wiped out a large contingent of future Civil War commanders: Scott, Lee, Meade, Joseph Johnston, and P.G.T. Beauregard were all aboard. Good came from the reconnaissance, however. Scott and Conner picked their beachheads, about two miles south of the actual city of Vera Cruz. This put the American landing parties just out of the range of the city’s largest cannon and if the Mexicans wanted to contest the crossing, they would have to bring their men and cannon out to meet the invaders. March 9—the day picked for the landing—came. As Scott later wrote, “The sun dawned propitiously on the expedition. . . Every detail, providing for all contingencies, had been discussed and arranged with my staff, and published in orders.” As Conner’s sailors prepared the landing craft that they would pilot to shore, the infantry received their ammunition and three days’ rations. Because of his actions at the battle of Monterrey the previous fall, William Worth was given the honor of landing first. The day’s preparations meant that the first landing ships did not set off from under the cover of Conner’s guns until about 5 p.m. Thus began the landings of what historian Timothy D. Johnson notes “the largest amphibious assault in American history before World War II.” Rather than the murderous fire at Normandy or Tarawa or Peleliu that American soldiers faced a century later, the Americans landing at Vera Cruz hit a beach empty of Mexican forces. Conner’s guns continued to bombard the sand dunes, but no serious threat mobilized. A few scattered Mexican pickets quickly retreated back to the city walls as the landing ships returned to the armada, picked up more men, and returned to the beach. Raphael Semmes, here as a Confederate Captain, took part in supporting the landings at Vera Cruz. By 10 p.m. that night, almost all of Scott’s men had been brought to the beach. They fanned out over the next couple of days, slowly encircling the city. The landings had been extraordinarily easy, helped by the Mexicans’ refusal to oppose them. Not a single American soldier became a casualty from the landings. But now a siege lay before Scott—he had to reduce Vera Cruz’s defenses before turning his back and heading into Mexico’s heartland. And that would prove far trickier. The second phase of the Mexican-American War, a phase that would bring Scott’s men to Mexico City and the “halls of Montezuma,” was about to begin. John S.D. Eisenhower, Agent of Destiny: The Life and Times of General Winfield Scott (New York: The Free Press, 1997), 229. Timothy D. Johnson, A Gallant Little Army: The Mexico City Campaign (Lawrence: University Press of Kansas, 2007), 20. Raphael Semmes, Service Afloat and Shore During the Mexican War (Cincinnati: Wm. H. Moore & Company Publishers, 1851), 125. Ethan Allen Hitchcock, Fifty Years in Camp and Field: Diary of Major General Ethan Allen Hitchcock, U.S.A, Edited by W.A. Croffut (New York: G.P. Putnam’s Sons, 1909), 237. Douglas Southall Freeman, R. E. Lee: A Biography, Vol. I )New York: Charles Scribner’s Sons, 1934), 223. George Gordon Meade, The Life and Letters of George Gordon Meade, Vol. I, ed. George Meade (New York: Charles Scribner’s Sons, 1913), 187; Eisenhower, 238-239. Winfield Scott, Memoirs of Lieut.-General Scott (New York: Sheldon & Company Publishers, 1864), 418-419. The Weekly Standard, Raleigh, NC, April 7, 1847. This entry was posted in Armies, Battlefields & Historic Places, Battles, Campaigns, Mexican War and tagged Battle of Monterrey, David Conner, George G. Meade, Joseph Johnston, Mexican War, Mexico City, P.G.T. Beauregard, Raphael Semmes, Robert E. Lee, Vera Cruz, William J. Worth, Winfield Scott. Bookmark the permalink.